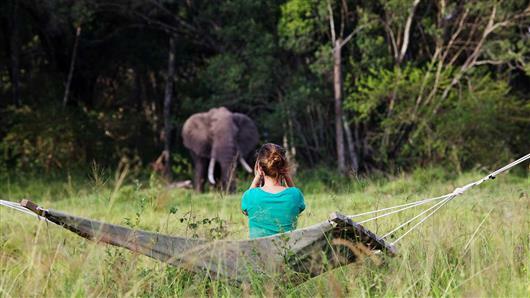 Elephant Pepper Camp is situated in the prime core of the protected Mara North Conservancy wilderness area. 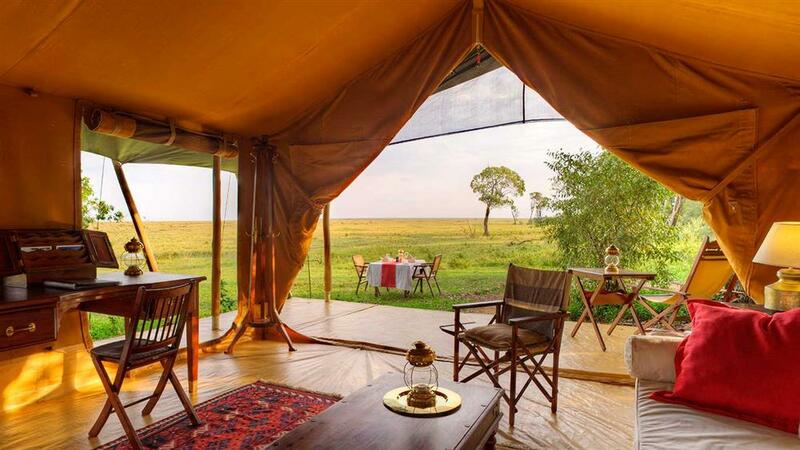 In the same location for 20 years, it is one of the original, very small and exclusive tented camps. Elephant Pepper Camp's canvas tents, overlooking savannah plains, offer a luxurious but authentic safari experience. There are 8 en-suite tents consisting of 4 doubles and 4 twin tents. Each tent has a main bedroom, with en suite bathroom (traditional safari shower and flush toilet), private veranda and hammock. All tents can fit one extra bed to accommodate children under the age of 16. The two Honeymoon Tent/Family Tents consists of one spacious main bedroom, and large lounge space, perfect for couples wanting to spread out or to accommodate beds for accompanying children under 16 years old. Elephant Pepper Camp has open game drive vehicles. The current fleet are new, specially fitted, 4×4 Toyota Landcruisers. 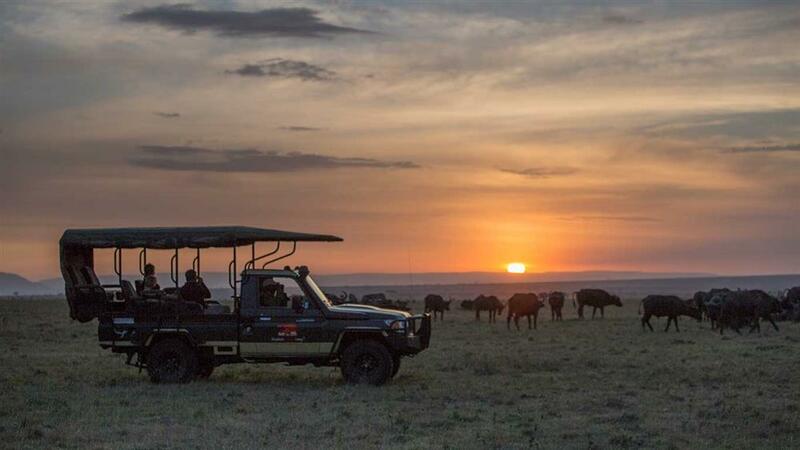 Game drives are outstanding, with a resident pride of lions, cheetahs and leopard; and of course the famous zebra and wildebeest migration surrounding camp in the months of July – October. 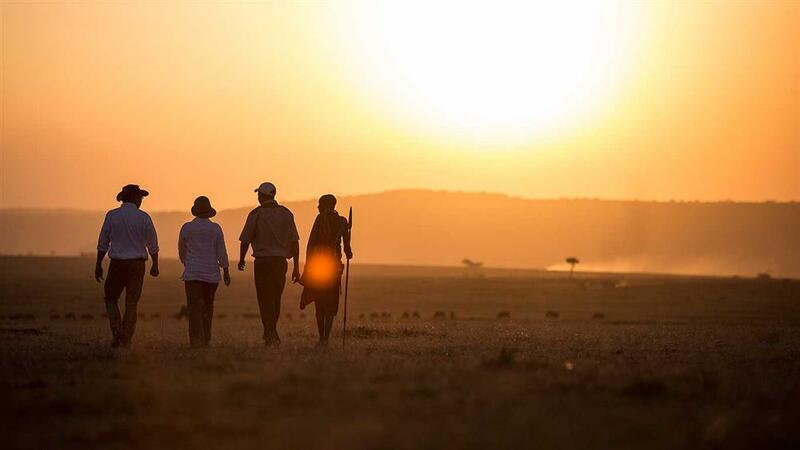 Being private, yet central to the vast Masai Mara eco-system, the Elephant Pepper guides have easy access to the reserve, zebra and wildebeest crossings, and outstanding game viewing within the conservancy. Greater Mara covers an area of 8000 km sq, a vast fertile wilderness. The Mara is the northern part of the great Serengeti / Masai Mara ecosystem. The Mara is higher in altitude, cooler, has more hills, is more fertile and receives more rainfall (approx. 760 mm per year) and is therefore lusher and greener than the long plains of the Serengeti.